Many of the Morse Department's materials are published works. 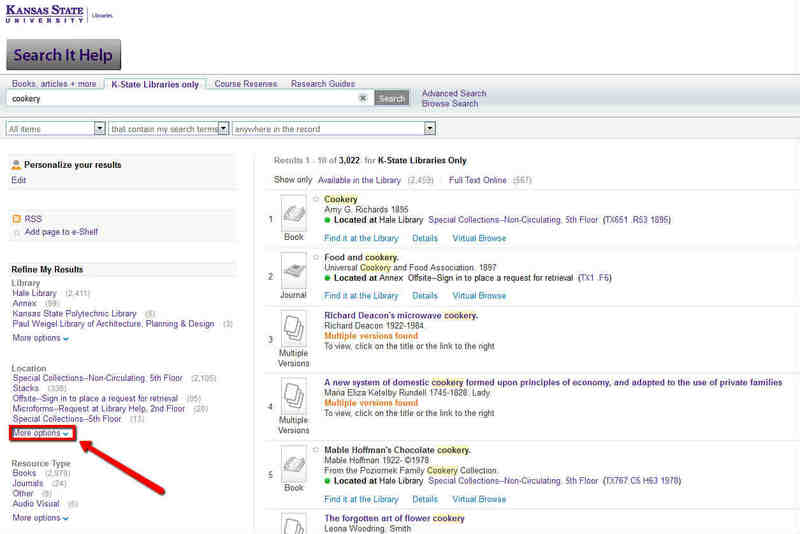 These are included in K-State Libraries' online discovery tool, Search It. Searches from this box are only keyword searches (no distinction between author, title, etc.). Step 1. 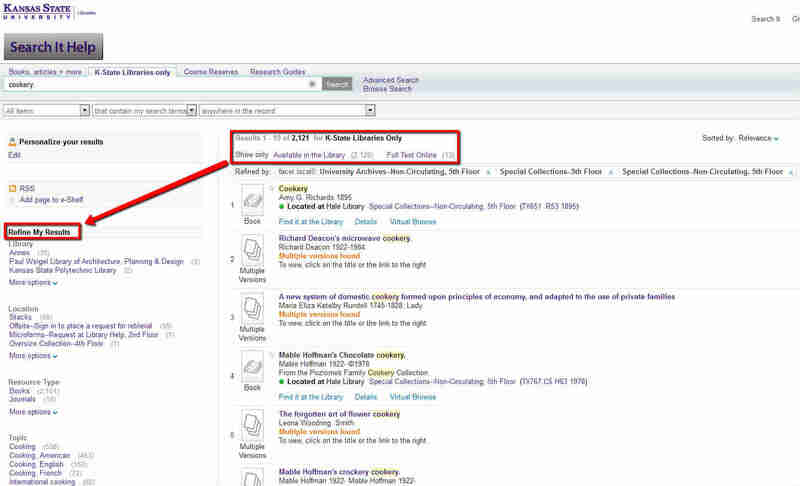 To locate materials in Special Collections, enter your search term. Step 2. 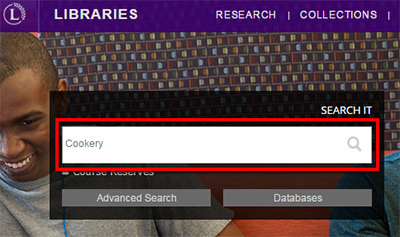 Change the tab at the top to "K-State Libraries Only." 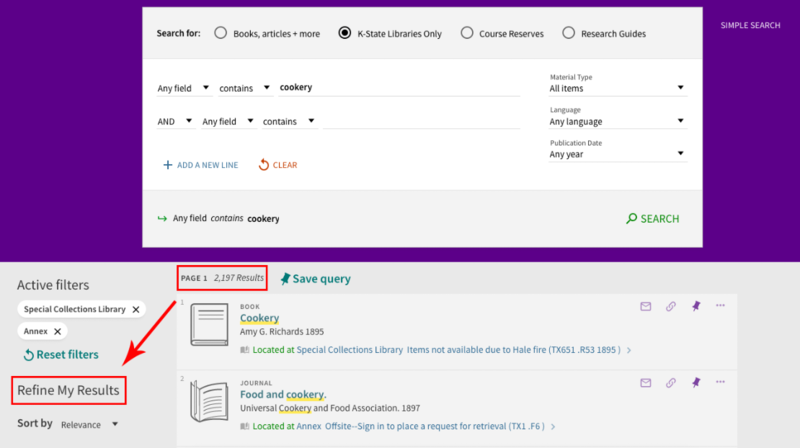 Limit search to Special Collections and University Archives. That's It! 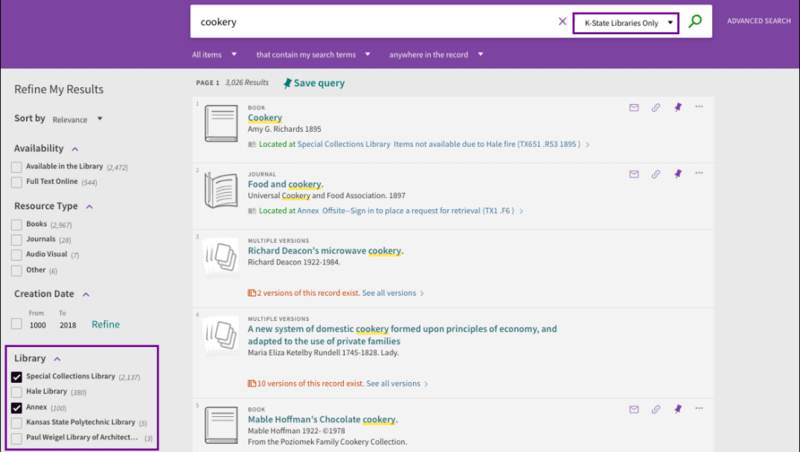 This search yielded 2,121 results located in the Morse Department, 506 Hale Library.